Many people think I’m difficult to please when it comes to food. Quite the contrary actually. Just give me a hearty meal comprising pork and dessert, and I’m satisfied. Unless the pork has a cardboard-like texture and tastes like cement. LB usually gets it right. 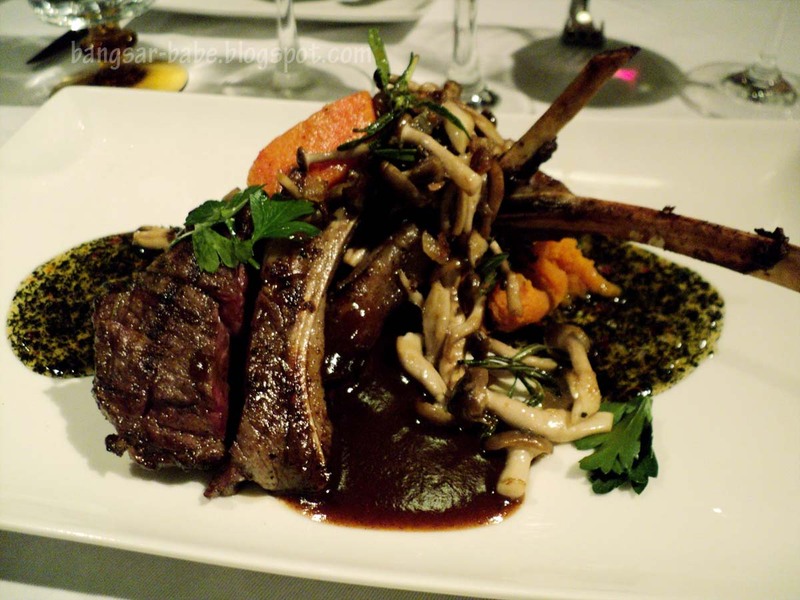 He recently hosted a wine dinner at Leonardo’s Dining Room and Wine Loft, Jalan Bangkung. I like Leonardo’s (Cava and Opus as well) for its laidback ambiance. The decor is tasteful, but not overwhelmingly so. I can walk in with my shorts and no one judges. Trust me, I’ve done that. Despite living 3 minutes away, I arrived half an hour late (I came from Kelana Jaya). They had already started on the Hokkien Mee and Grilled Portobello Mushrooms (RM22). The noodles (RM25) had plenty of crispy pork lard. Each spoonful had the ‘pok pok’ effect. Sinful stuff. The Portobello mushroom was decent, but nothing memorable. Probably because it was cold when I had it. 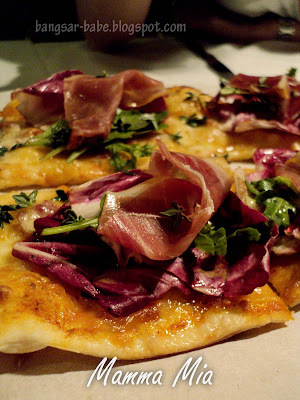 Mamma Mia (RM35) was a thin crust pizza with jamon serrano, mozzarella and rocket leaves. This was pretty good, but I would have preferred more ham. 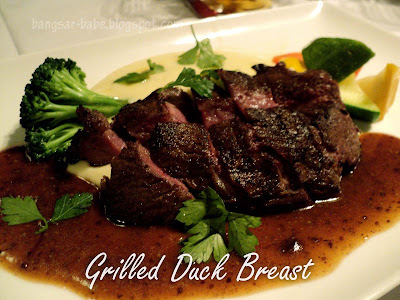 Grilled duck breast was a new addition to the menu. 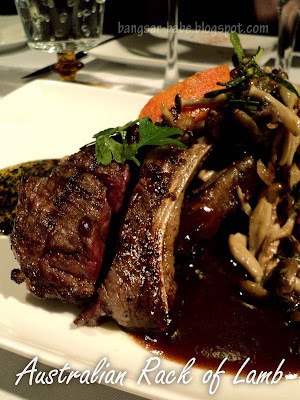 I thought it was very well prepared — the sauce paired beautifully with the tender meat. Even the grilled vegetables were tasty. Oolong smoked air flown Australian rack of lamb (RM65) was one of my favourite dishes that night. While it didn’t taste smoked, I thought the lamb had a nice flavour and more depth to the meat, supposedly from the red wine jus. It had a firm yet tender texture, and was fairly easy to remove from the bone. 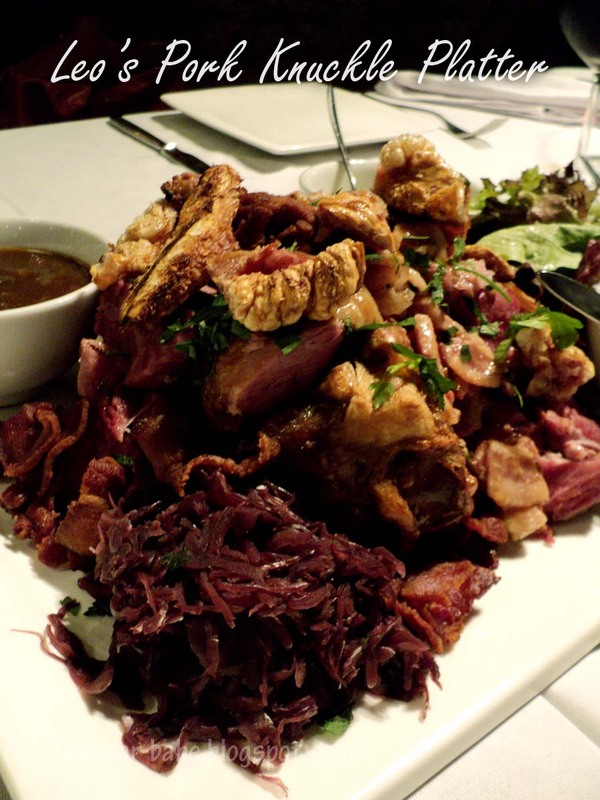 Truth be told, I enjoyed the chips from the pork schnitzel more that the meat itself. Not that the schnitzel wasn’t good, I’m just a huge fan of thickly cut chips. 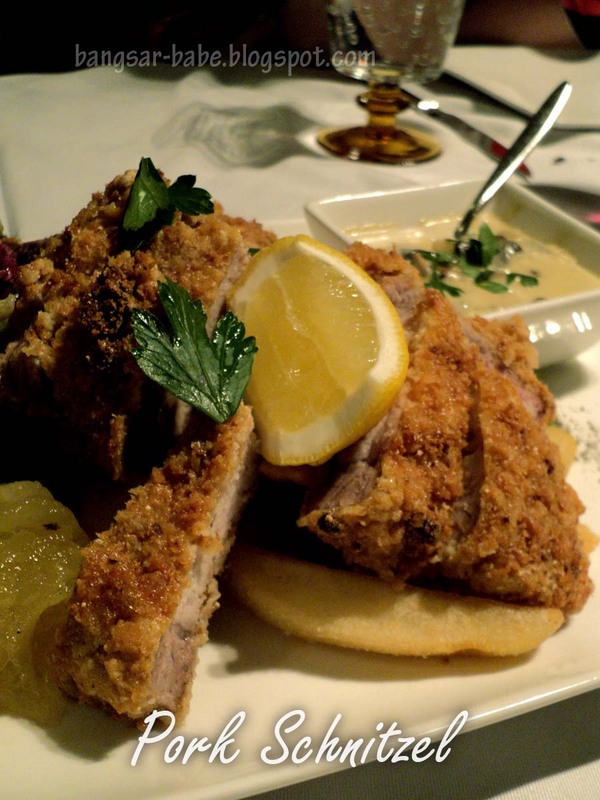 The meat was pounded just right (I don’t like my schnitzel to be overly thin), breaded and deep fried till crispy perfection. Worth ordering if you asked me. The highlight of dinner was Leo’s Pork Knuckle Platter (RM75). Incredibly decadent, you will need to share this with at least two more people. I liked everything about this dish; fatty bacon, chunky meat and crispy cracklings. 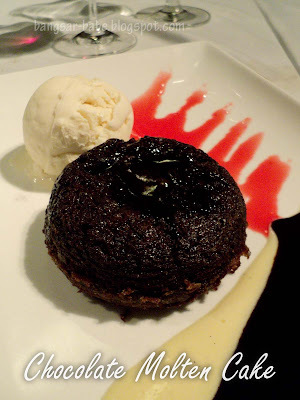 *oinks* My dining companions were too full to consider dessert, but I soldiered on and had the Chocolate Molten Cake. Slightly crusty edges and soft at the centre, my dessert oozed melted chocolate when cut into half. Dinner was good, and the wines were fabulous. I went home happy and stuffed that night. Verdict: A good place to have dinner with friends/family. And casual dates. you have given me a perfect idea on where to bring Jenn for dinner tomorrow evening 🙂 thank you my dear! Hye.. i would like to know how do i travel from Kelana Jaya to Leonardo’s Dining room..? please do email me at [email protected]. tHANKS ALOT..